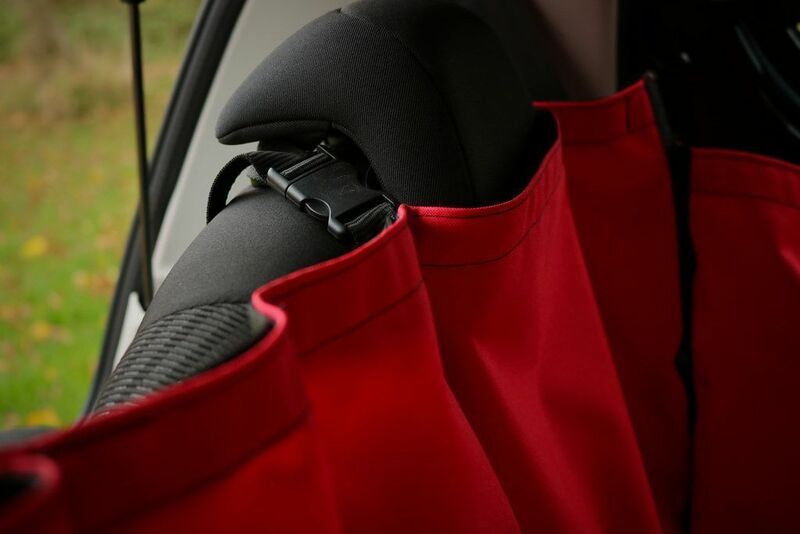 Our Rear Seat Hammocks are a quick and easy solution to protecting the rear seating area of your vehicle. They simply clip in around the front and rear headrest covers with adjustable straps and sit loosely over the rear seating area. Due to this they fit in minutes and are removable just as quick making them perfect if you require it to be removed often. 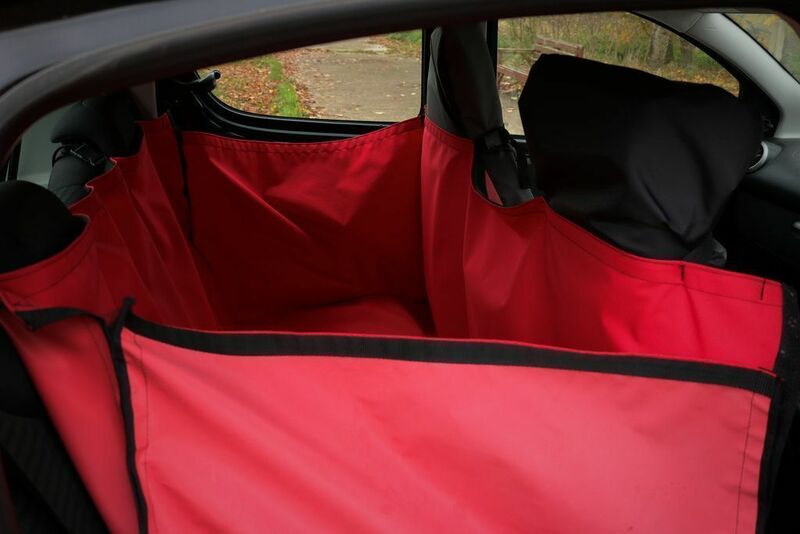 We have found they are ideal if you like to have your dog in the rear seats while travelling. These are tried and tested by us here a Rhino UK as a few of us use them daily when bringing our dogs into work. The pictures above is on in one of our own vehicles. 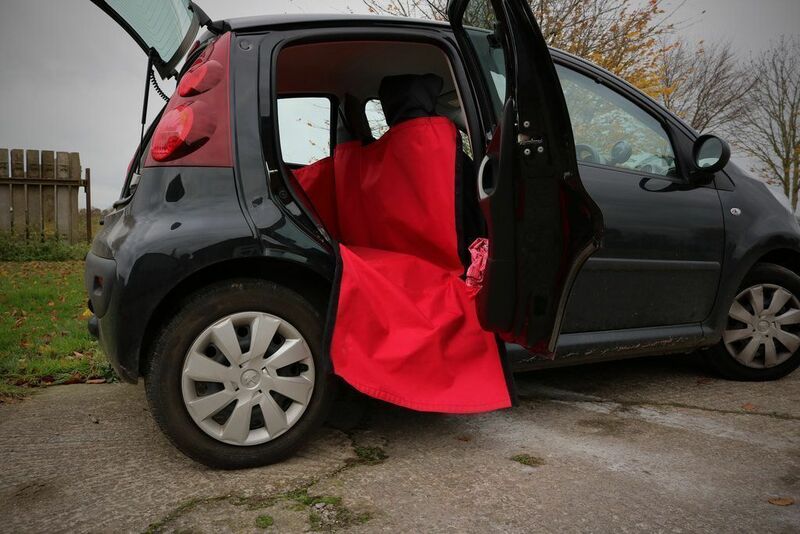 Please note that our hammocks are not suitable for 3 door cars. Hammock Sides: This option adds side to the edges of the hammock to provide additional protection up the the rear doors of the vehicle. They are sewn along the bottom of the hammock and form a Velcro seam that can be opened when the rear door is open. This can then provide a flap that covers the side entrance to allow a dog to jump in for loading of the rear for example. 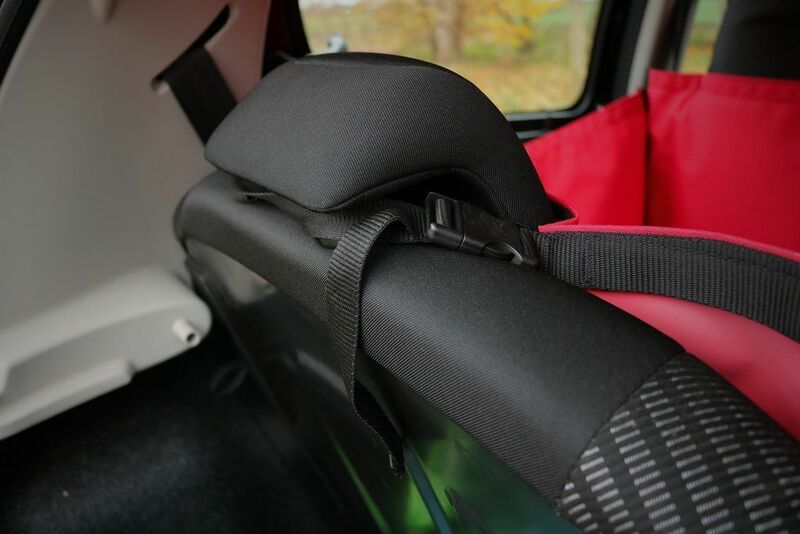 Seat belt Slots: This option adds two small slits in the hammock to allow the seat belt buckles to protrude through into the liner. 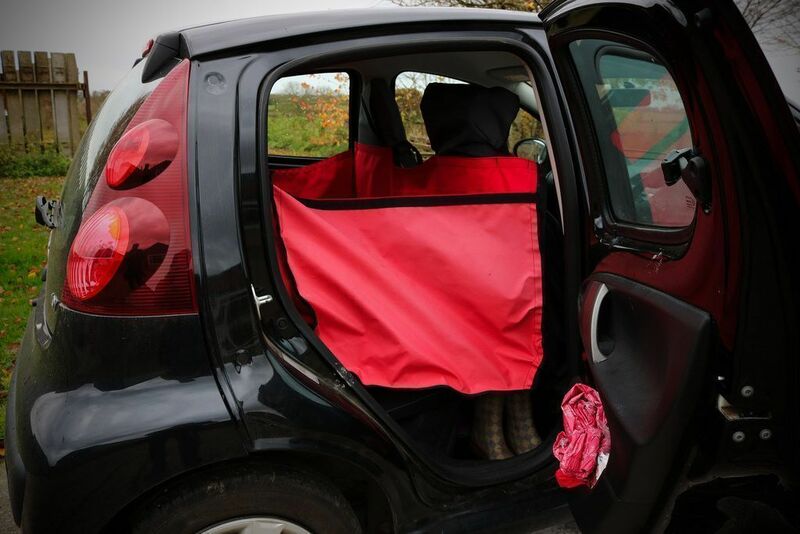 This is ideal if you are wanting your dog in the back and use the buckles for a dogs traveling harness etc.